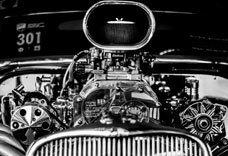 Car Maintenance Tips To Extend Your Vehicles Life • E & L Service, Inc.
We are going to share with you 12 car maintenance tips, that if done routinely and properly, will keep your car from breaking down and allow you to extend the life of your vehicle. Let’s begin. When you buy a vehicle you receive certain instructions regarding car maintenance that are recommended by the manufacturer. However, with your busy schedule and the increased cost of vehicle maintenance you frequently put off tire and oil changes, checking under the hood, and other similar regular maintenance necessities. Unfortunately, if you put off doing these car maintenance services due to schedule and budget you are risking a bigger inconvenience to your schedule and budget by having your car breakdown. Just ask our dispatcher’s, time and money are the first questions asked when calling for a tow truck. Like the old saying goes, “An ounce of prevention is worth a pound of cure” when stranded on the side of the road on your way to something important. The best source of information on your responsibilities can be found right in your glove compartment by opening up that book called an owners manual. Ignoring a check engine light can be an expensive mistake. Fifty-percent of all drivers that have a check engine light on ignore it for three months or more. This may be due to the fear of finding out what is wrong and the cost to fix it. But, the problem could be just a minor one. One of the top five reasons a check engine light comes on is for a damaged spark plug. The number one reason is a mal-functioning oxygen sensor, which could be costly to fix. Not diagnosing why your check engine light is on could have a snowball effect that can cause other problems or a possible safety risk. Here is a list of the Top 25 most common vehicle repairs for 2015 put together by CarMD. It is recommended that you check your tire pressure once a month, or any time you are going on a long road trip. 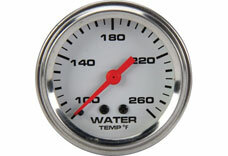 Check the tires while they are cold (in the morning is best) and with a quality tire gauge. Adjust the air pressure as indicated by the owner’s manual or the vehicle tire placard (usually found on the driver’s side door jamb). Tire rotation seems to be one of those things that gets left out of the equation when it comes to car maintenance. But, it is important none the less. Not rotating your tires on time will dramatically reduce the life of your tire tread. 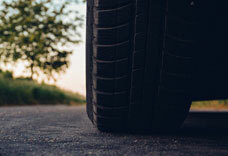 Tires with wore down tread, or un-even tread could cause you to get stuck with a flat tire or even cause an accident. Just think of the added cost of missing work, an important meeting or needing roadside assistance. 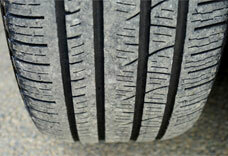 As a rule of thumb, tires should be rotated every six months or 5,000 to 8,000 miles. It is advisable to keep a spare tire in your trunk and learn how to change it yourself for safety. AWD or (all wheel drive) vehicles are very common in this area. It is very critical of the correct tire size to be consistant on all four corners including the spare tire. The tread depth difference between any of the tires on an AWD vehicle should be no more than 3/32nds of an inch. Wrong size or worn tires on this type of vehicle will cause drive train damage. Ah yes! Wiper blades are that one pair of equipment that is crucial to visibility when driving on the road. But, most people don’t realize they need new wiper blades until they disintegrate and falling apart. As soon as you realize your wipers are no longer properly removing water from your windshield is when you should replace them. 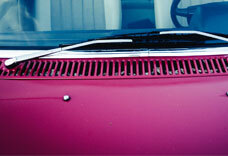 Having old or im-properly working wiper blades can mean big trouble when on the road. Visibility is critical when in rain, snow or inclement weather or in emergency situations. Your better off safe then sorry. 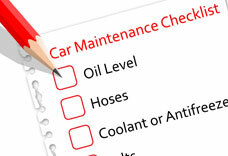 We’ve all heard that we should have our vehicles oil changed on a regular basis. That typically is every three months or three thousand miles, whichever comes first. But, before you go out and get your oil changed, dig out your owners manual and see what it says. If you have a vehicle that was bought in the last seven or eight years, you may not have to change the oil at the standard 3,000-mile mark. Due to the change in oil chemistry and engine technology, you may be able to change your oil between 7,500 and 10,000 miles. If you have a vehicle that is from the year 2000-2017, you can use this handy online tool to find the manufacturer-recommended oil change intervals. Don’t just guess at what your oil change interval is. 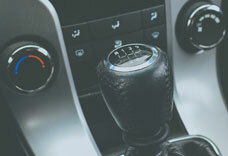 You can more accurately determine your interval by reading the owners manual and on what your typical driving includes, such as, a lot of stop-and-go driving, short distances, extended idling, muddy, rough or dusty roads or really humid or cold temperatures. Stick to what you find there and you will keep your vehicle protected in which you spent a substantial investment on. Generally, you should check these on a monthly basis or more often based on your driving situation. Be sure to check your owners manual to tell you what the proper intervals are. It only costs just a few dollars to change these fluids in your car and if done properly can prevent more expensive repairs. You can drop your cost lower by looking for coupons for local deals on transmission, coolant, brake and oil. Note: Some vehicle manufacturers have stated that oil consumption of a quart per thousand miles driven is acceptable but can void a warranty for engine failure when it is ran out of oil. The air and fuel filters have important functions… keeping dirt, debris and small particles from getting into the engine and fuel. 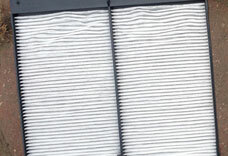 The filters themselves are not that costly to acquire, but if you neglect to replace these filters it could cause other equipment failures which would be more expensive to repair. Since our vehicles are an important part of life and allow us to get to places we need to go, it is important to stick to a routine service schedule. 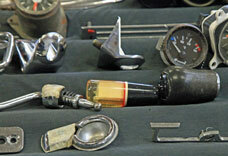 Car parts and components wear out over time and become damaged. Having timely inspections and repairs will keep your vehicle running efficiently and prevent more expensive work down the road. If you are needing to replace basic items that need regular replacement or repair, such as, floor mats, wiper blades or cabin air filters, then shopping online can save you some money and they don’t have to be the top of the line brand. If you are having to replace more complex auto parts, then take care to ensure that you are using OEM parts or equivalent and that it is being installed correctly. Your local auto repair shop should be up to date on the ways to install and handle these parts according to manufacturer’s standards. It is not only dangerous to continue driving an overheated vehicle, but you could end up breaking hoses, blowing a head gasket or end up being stuck on the side of the road waiting to be towed. Imagine being on a trip, your car overheats and you need to be towed to an unfamiliar mechanic. This puts a lot of stress on you and your pocket book. If you are checking your fluids regularly and your engine components, this should prevent this from happening. This may seem like we are straining at gnats, but if you allow your vehicle to go without keeping it washed can lead to build-up of dirt, damaging chemicals and such which can cause an increase potential for rust and faster wear of parts. Dirt, grime and salt can also reduce your visibility needed for safe driving. So, be sure to wash your car to keep it clean and shiny. A regular trip through your local car wash with a good underbody wash goes a long way especially in rural areas where travel on gravel roads is a necessity. It’s important to drive intelligently, be aware at all times and keep distractions to a minimum. 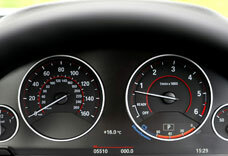 By following the speed limit, you can improve fuel efficiency. You can avoid quick starts and stops by not driving aggressively. Prevent quicker wear and tear on your vehicle by not hauling un-necessary items or going over the weight limit when transporting items. In closing, following the above mentioned twelve car maintenance tips will help you keep your car in excellent working order and help you keep your auto care a top priority. Keeping a routine maintenance schedule will go a long way towards saving you money, protecting your vehicle investment and avoiding headaches. To schedule your auto for it’s next inspection or routine car maintenance, call us at (810) 664-8811 or fill out our form online.